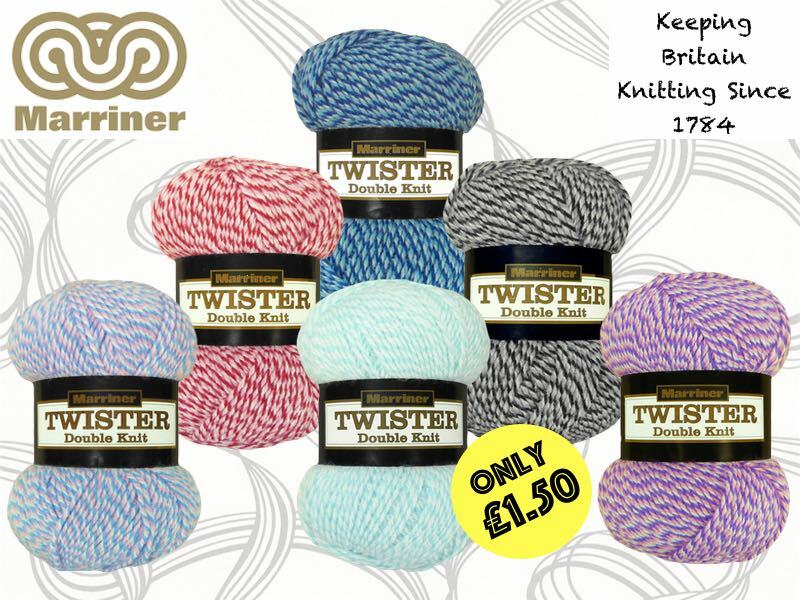 Lets twist and shout about our new Marriner Twister Collection! 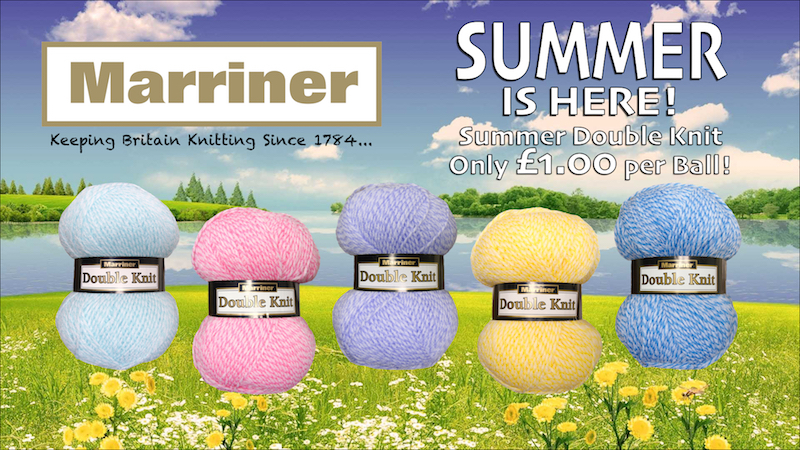 Here at Marriners we are happy to introduce another collection of multi coloured yarns just for you. 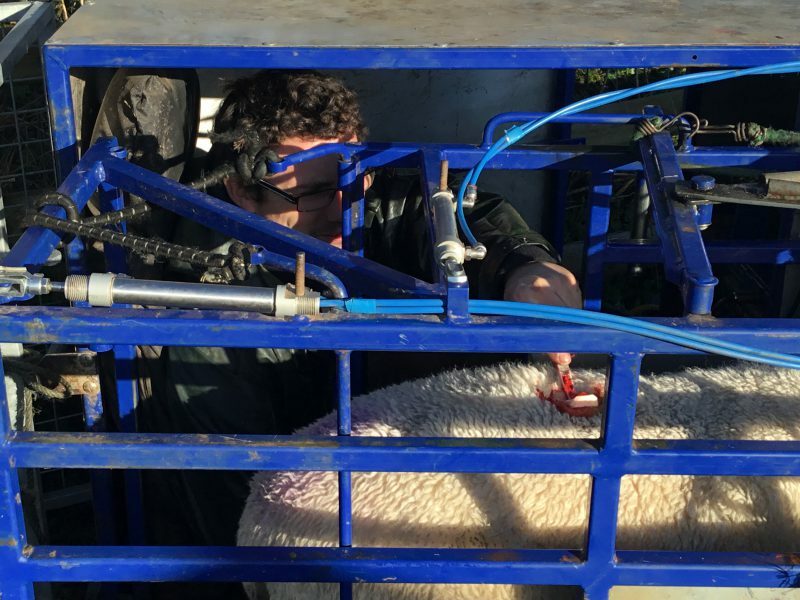 Bringing a whole new meaning to knitting with a twist this bank holiday! The range consists of 6 fresh colours ~ Angel Pink, Graphite, Aqua, Pink Fashion, Blue Lagoon and Ruby. 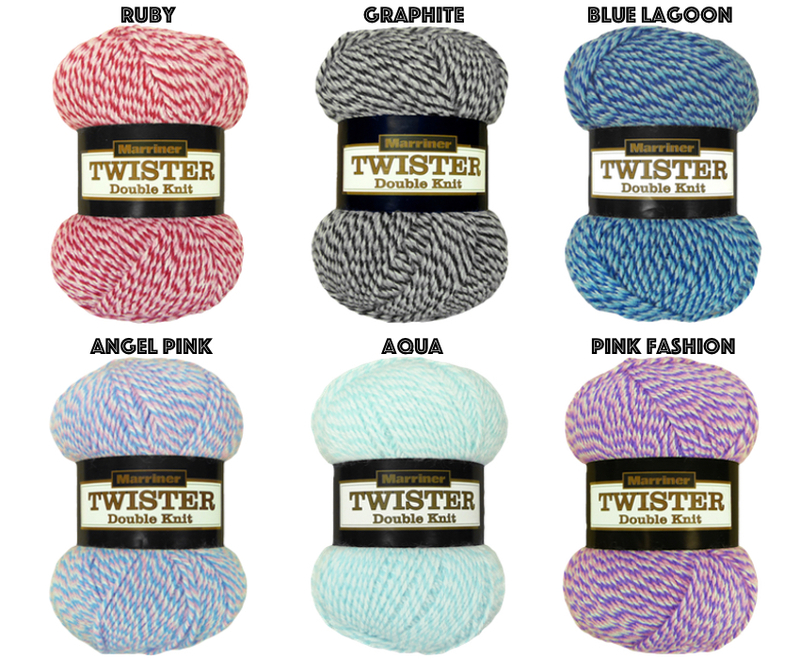 This new Twister collection is at an amazing price of only £1.50 – WOW! Get yours today on MarrinerYarns.com. Mega Magic Sale BlowOut! – 95p while stocks last! 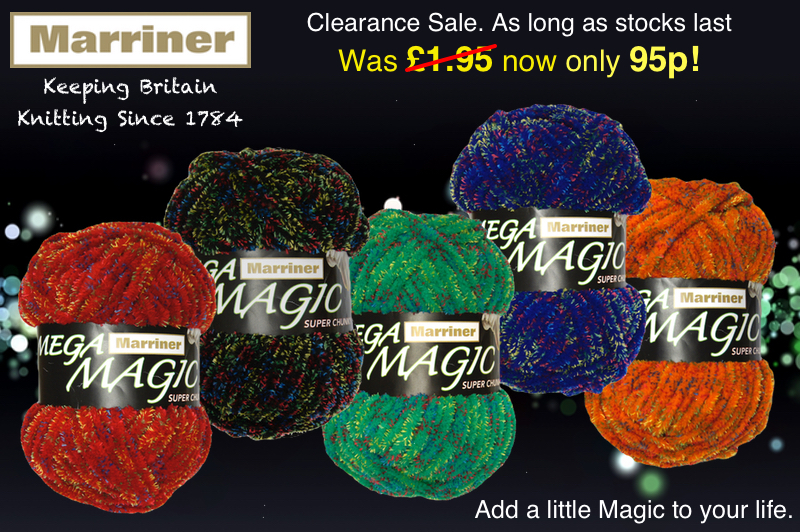 We are having a wonderful clearance sale on our Mega Magic Super Chunky yarn. It’s now at the amazing price of just 95p, saving you £1.00! While stocks last, so hurry and get yours today! 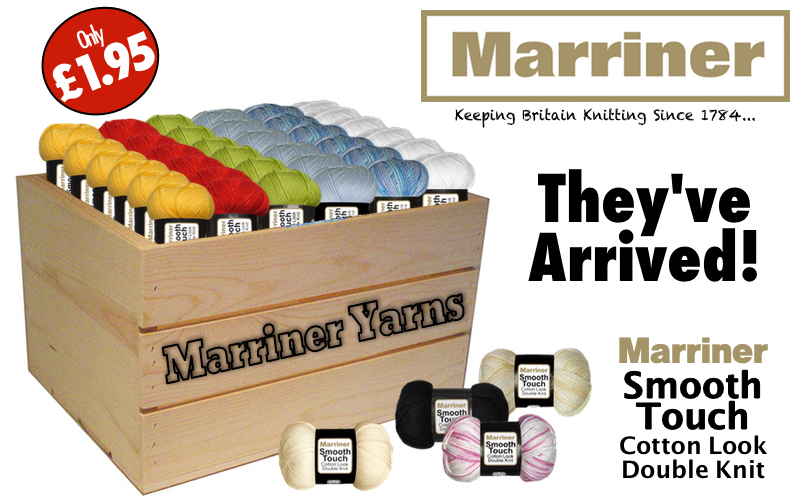 Buy online on our MarrinerYarns.com site or buy in store in any Shaws Direct (Shaws the Drapers) shop. We are also giving away free downloadable patterns with each online order*. 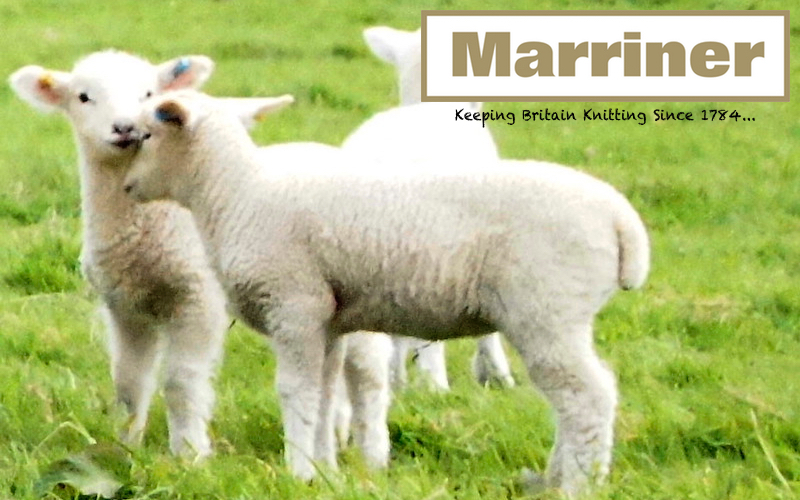 A Very Happy Easter from all at Marriner Yarns! In our last newsletter we announced the arrival of the new Smooth Touch Cotton Look yarn. This has been a huge success and we can’t wait to see some of your knitted garments made from this new yarn. So don’t be shy and send them in! The Smooth Touch has arrived! 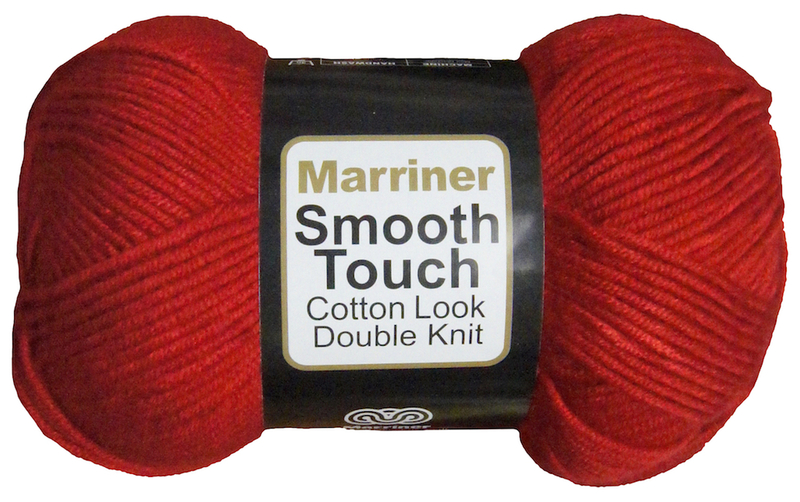 Our new 100g Marriner Smooth Touch, Cotton Look, Double Knit has arrived, available now for only £1.95 per Ball! SHHHHH! 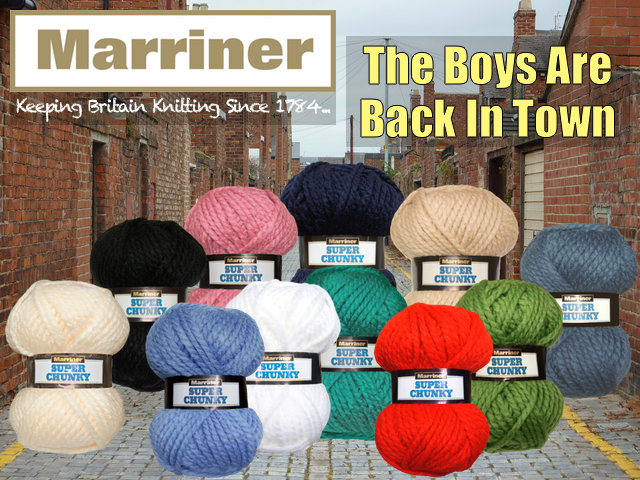 New collection at Marriner Yarns. Here at Marriner we are busy preparing for the arrival of our brand new collection of ‘Smooth Touch’. These 100g double knit balls look like cotton and feel like cotton. The range will be available in 7 plain colours and also in 3 multi colours. Super Chunky Back In Town! Still only £1.00 per ball! We are delighted that such a great charity is using our yarn for this wonderful mural. So come on friends, let’s get knitting #marrineryarns. This is a fantastic idea to generate support for #mariecurie. Thank you. 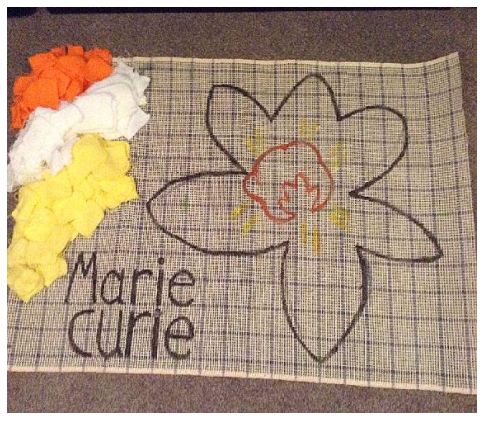 Can you help create a giant daffodil for Marie Curie? Staff at the charity’s Penarth hospice are calling on knitters to help creative a wall mural of the Marie Curie logo – but need help from patients, family and supporters. 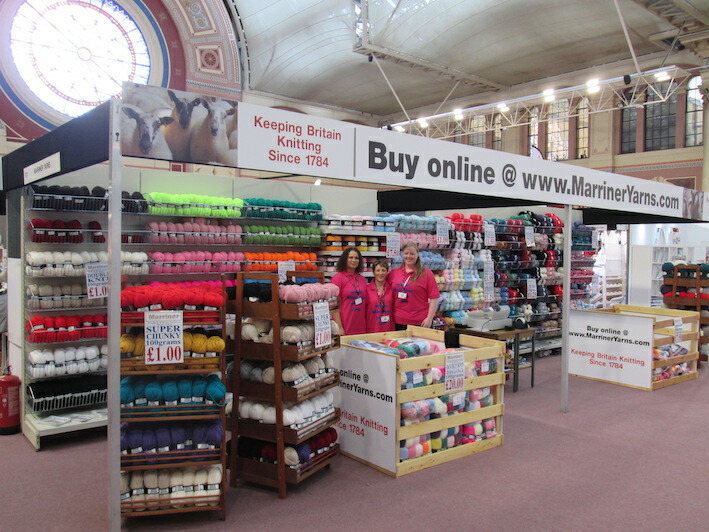 Exclusive to the Ally Pally Knitting Show, a competition to win four £50 Vouchers.